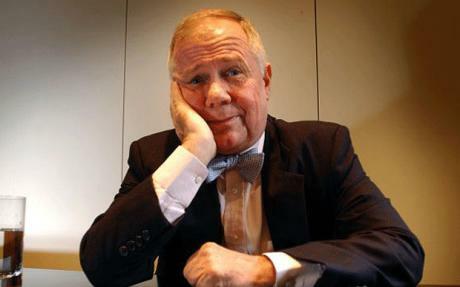 Jim Rogers is very bullish on gold for the next decade or two. He is one of the premier investors in the commodities markets including Gold & Silver. Watch the interview below and think about adding to your current holdings in a Tangible Asset Portfolio. Resurgent investment lifted global gold demand 6% from the previous year to just over 1,000 tons during the third quarter of 2011, according to the latest Gold Demand Trends Report from the World Gold Council (WGC). The potent cocktail of inflationary pressures in the emerging world and the European sovereign debt fiasco left investors searching for a safe haven that they found in gold. In an uncertain era when many asset values are declining, gold has thrived. Gold prices averaged $1,700 an ounce during the third quarter of 2011, 39% higher than the same time last year and 13% above the previous quarter, according to the WGC. In total, investment demand increased 33% on a year-over-year basis to reach the third-highest quarter of investment demand on record, says the WGC. The increase was broad in scope. Investment in gold bars and coins jumped 29% year-over-year while holdings in gold ETFs reached an all-time high. All global markets other than India, Japan and the U.S. experienced gains in investment demand; many of them (except Thailand and Saudi Arabia) saw double-digit increases. While investment demand thrived during the third quarter, jewelry demand fell victim to the quarter’s economic fragility and price volatility—falling 10% on a year-over-year basis. Only four markets—China, Hong Kong, Japan and Russia—saw jewelry demand increase. The WGC says a shift toward high-growth economies is “undeniably conspicuous in the gold market.” Nowhere in the world is this more evident than in China, where consumer thirst for gold appears unquenchable. China’s total demand, around 612 tons year-to-date, has already eclipsed that of 2010. In addition to domestically consuming every speck of gold mined in China, it’s estimated that the country’s gold imports could reach 400 tons in 2011. That’s roughly equal to the combined tonnage of gold demand for the Middle East, Turkey and Indonesia in 2010, and that’s just imports. Consumer demand for gold in China increased 13 percent (year-over-year) during the third quarter as the country continues to close the gap on India. Chinese jewelry demand, also up 13 percent, eclipsed India for only the fourth time since January 2003. Combined, the two Asian giants account for over 50 percent of global jewelry demand. The WGC says, “China’s increase in demand is being fueled by rising income levels, a by-product of China’s rapid economic growth.” This growth has given birth to more than 100 million gold bugs in China’s rural areas. China’s smaller third- and fourth-tier cities were responsible for the bulk of the increase in jewelry demand, the WGC says. In addition, the Gold Accumulation Plan (GAP), a joint effort from the Industrial & Commercial Bank of China (ICBC) and the WGC which allows investors to purchase gold in small increments, reached 2 million accounts in September. The WGC says GAP sales have already exceeded 19 tons so far this year. Things weren’t quite as rosy for demand in the world’s second-largest jewelry market. Indian jewelry demand took a 26 percent hit as volatility in the rupee shook investor confidence. The rupee decreased 9 percent against the U.S. dollar during the third quarter, more than double the currency’s average quarterly move over the past five years. The weaknesses of the rupee against the U.S. dollar also negatively affected India’s demand. This chart illustrates the dramatic effect currency fluctuations can have on gold prices. The gold price in Indian rupees has appreciated over 31 percent since June 30, more than three times the price appreciation denominated in Japanese yen. This means that a consumer looking to buy gold in Japan would have three times the purchasing power to buy gold at their local dealer than an Indian counterpart. 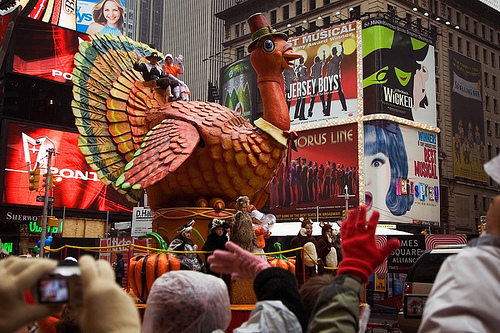 Thanksgiving is the day we have chosen to be thankful to our God for the provisions we enjoy in this country. Set aside the Pilgrims, Turkey, Macy’s Day Parade & Black Friday creep into Thursday night and focus that we live the greatest country in the world, we enjoy unprecedented freedoms, we can still worship God in our own way. Many around the world can not say this. In fact, many around the world wouldn’t even have legal access to something as simple as blogs. We have many things that are troubling: the economy, ongoing wars, political stalemate, unemployment among other things. Yet, in spite of all this, we have a hope that out of this mess will come people who due to the freedoms we enjoy will create solutions to the problems, as we have for over 200 years. Take time as you sit at your family table, look around at each person seated there and be thankful for them. Be thankful for the table & house it is in, ultimately reflect on the great provision God has blessed us with and give thanks. The recent decline in commodity prices has little to do with fundamentals and everything to do with the collapse of brokerage firm MF Global, says renowned investor Jim Rogers, who described the sell-off as artificial. “With MF Global going bankrupt – which was a gigantic commodities firm – there was a lot of artificial forced liquidation of commodities. People have to sell whether they like it or not. It’s artificial selling right now,” Rogers told CNBC on Wednesday. The CRB Jefferies Index – which serves as a measure of the broad commodities complex – has fallen 4 percent since MF Global declared bankruptcy nearly 4 weeks ago. Agricultural commodities have been the hardest hit, with rice futures falling more than 14 percent and wheat futures down 9 percent in the period. Rogers says the drop isn’t surprising. “This happened before in 2008, when Lehman and AIG went bankrupt, they were both huge in commodities and everybody had to sell,” he said, referring to the onset of the global financial crisis in late 2008, when the CRB Index fell by half in a matter of months. Prices have rebounded since, climbing nearly 60 percent from March 2009 to May this year, when the sector took a hit again on concerns over the headwinds facing the global economy. Rogers remains bullish on the sector, saying investors will benefit whether the global economy improves or not. “I’m long commodities and currencies, because if the world gets better, the shortages in commodities will make sure I make money; if the world economy doesn’t get better, I’d rather own commodities because they’re going to print money,” he said, referring to the easy monetary policy central banks have taken in the last few years to stimulate anemic growth. Rogers says he is using the recent drop in prices to accumulate agricultural commodities, and is waiting to add positions in gold [XAU= 1685.1899 -14.60 (-0.86%)]. While he expects the yellow metal to reach $2,400 sometime in the next five to twenty years, he believes its run-up in the last 11 years has been “unusual” and needs a “rest”. This not a time to buy stocks, Rogers added, and says he is shorting the asset class. Forbes: Is GLD Really As Good As Gold? In 2004, the launch of the SPDR Gold Trust exchange-traded fund, under ticker symbol GLD, leveled the playing field of gold investing by allowing for a less expensive option than buying the physical metal. Ever since, many have come to equate GLD with actually owning gold, but the reality is a bit more nuanced. GLD has grown to become the second-largest exchange-traded fund by assets, valued at $72.4 billion and backed by 40.8 million ounces of physical gold. The subject of much fascination, GLD has also been targeted by skeptics who question the ETF’s secretive methods and even doubt it holds all the gold in HSBC’s vault in London. Jason Toussaint, the managing director and principal executive officer of World Gold Trust Services, spoke to Forbes and sought to dispel rumors by explaining how GLD works. Since GLD debuted on Nov. 12, 2004, it has risen more than 280% to over $170 a share. “The whole thesis [behind GLD] was creating an efficient market for gold trading,” explained Toussaint. The price discovery mechanism wasn’t working effectively: storage, insurance, and transport costs and logistics problems prevented efficient markets. “The analog [to GLD] is that to buy one share of GE I don’t have to go to their sales guy, I press a button on my computer and I own it,” Toussaint said. Investors, then, are drawn to GLD because it allows them to “own” physical metal. Suzanne Hutchins, for example, Newton’s investment manager for global funds and head of their real return investment team (which is part of BNY Mellon), said they like gold as an inflation hedge in the face of currency debasement. She sees GLD as one of the ways to gain exposure to the yellow metal and likes it because it is physically backed. She told Forbes her team’s been to the vault and seen the actual bars. But how does GLD work? It’s actually a lot more complicated than simply allowing investors to “own” gold. GLD is a trust, sponsored by the World Gold Council (through World Gold Trust Services), which oversees the performance of the trustee, which is Bank of New York Mellon (note Hutchins works for the trustee). 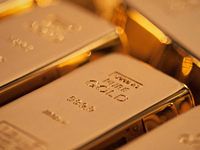 The trust seeks to reflect the price performance of gold bullion by holding gold bars and issuing shares backed by their holdings of physical metal. 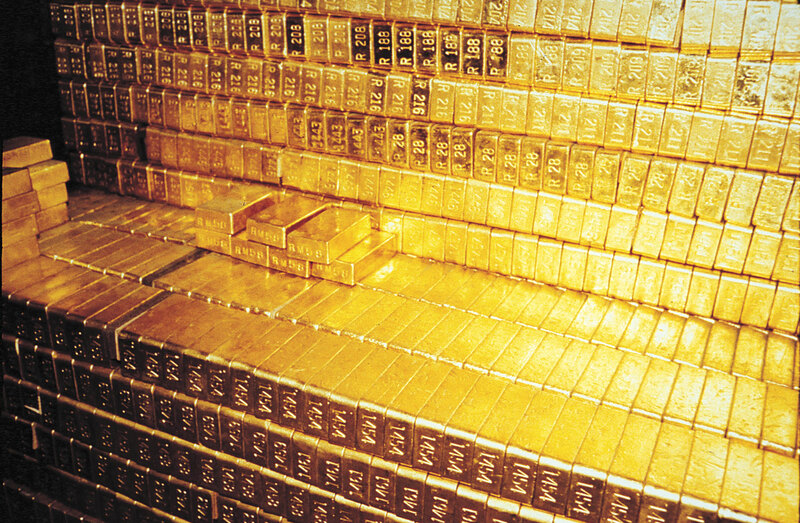 The gold bars are held in HSBC’s vault in London, and shares are sold in baskets of 100,000. The ETF is marketed by State Street. Where most investors are confused about GLD, though, is about redemption. Even though GLD is “physically backed,” ordinary investors can’t just go to London and redeem their bullion. Only “authorized participants” are allowed to create or redeem shares. Authorized participants are registered broker-dealers or other securities market participants which have entered into agreements with the trustee and sponsor (these include major Wall Street names like Citi, Goldman Sachs, Morgan Stanley, JPMorgan Chase, and Merrill Lynch-Bank of America, among others), allowing them to deposit either gold or shares in exchange for the other at unallocated accounts until the operation is completed. Regular shareholders have no rights of redemption and the gold is not required to be insured by the Trust, which is not liable for loss, damage, theft, nor fraud. Shares are bought in the open market, only after Authorized Participants decide to place or sell them. Therefore a retail investors doesn’t actually “own” gold, but an asset that is backed by gold and represents a certain quantity of the yellow metal. Skeptics have raised doubts over the trust’s management of its physical gold, with questions over how much is actually held. HSBC, the custodian, is very secretive regarding its vault. Earlier this year, CNBC’s Bob Pisani was allowed to see the vault only after surrendering his cell phone and taken in a van with blacked out windows to an undisclosed location. Once in the vault, Pisani held up a gold bar and explained they were all numbered and registered. Astutely, ZeroHedge noted the bar Pisani held up was missing from the current bar list, fueling further speculation and skepticism. Toussaint defends GLD by noting they are regulated by the SEC. “We are filing 10-Qs [quarterly reports with the SEC], on a regular basis,” he said, then added “I also think the world’s largest hedge fund managers take their due diligence seriously,” referring to investments in GLD by world-renowned hedge fund managers like John Paulson and George Soros, among others. Another major criticism of GLD, which pertains to the whole ETF industry, is that it distorts prices in underlying markets by offering “on-demand liquidity to investors while they are in some cases based on much less liquid underlying assets,” according to a report by the Financial Stability Board. Global gold markets are now “extremely price effective” and “hugely diversified,” as the market feeds on several sources of demand, not just speculative investment demand. Not only is gold a financial asset, it is also decorative, which becomes all the more important as discretionary incomes rise in India, China, and elsewhere in the developing world, where physical demand runs rampant. “How many people buy a convertible bond and wear it around their neck, or use a stock certificate as adornment? 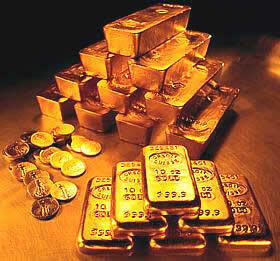 There is no other asset class like gold,” says Toussaint. Central bank diversification, another major source of demand, has taken a new role as central banks become net buyers of the yellow metal, according to a study by the World Gold Council. It is difficult to pin down the exact reasons behind gold’s 10-year bull run, but the reality is that interest in gold is as old as money itself. Be it an inflation hedge, a bet on an alternate monetary asset, or a move into a safe haven, GLD is one of the most popular ways to gain exposure to the yellow metal. Owning GLD is clearly not the same as owning physical gold, it just serves different purposes. GLD allows investors to play the physical metal without facing the underlying costs and logistical problems, but it doesn’t entitle one to an actual amount of gold. GLD helped make the market more democratic, to a certain extent, but also injected liquidity, thus fueling further price volatility. No matter what Toussaint or anyone else says, there will always be skeptics, but as long as gold maintains its trajectory, GLD will continue to thrive. Gold fell to a one week low on Thursday as fears that the euro zone debt crisis could spread from peripheral to core economies kept investors nervous and prompted some to liquidate profitable positions to cover losses in other asset classes. The cost of insuring Spanish and French five-year government debtagainst default rose to record highs and the spread between French 10-year government bonds and their German equivalents jumped to a fresh euro-era high on fears the debt crisis was deepening and spreading to the larger euro zone economies. A spat between France and Germany on Wednesday over whether the European Central Bankshould intervene more forcefully to halt the euro zone’s accelerating debt crisis raised doubts about the euro leaders’ capability to find a solution. “There is a bit of general risk-off across the markets as we wait for further developments of the euro zone crisis, a bit of currency influence and a bit of opportunity as certain people try to crystallize their gains,” said Nick Moore, an analyst at RBS Global Banking & Markets. “We know one or two big funds have been exiting, having had very good profits … The gold market itself is in very good form, though; there is nothing wrong with fundamentals,” Moore said. Spot gold [XAU= 1742.09 -20.20 (-1.15%) ] edged down 1.04 percent to $1,743.89 an ounce. Gold futures [GCCV1 1743.60 -30.70 (-1.73%) ], meanwhile, slipped 1.56 percent to $1,746.70 an ounce. Weighing on gold, the dollar rose against a basket of currencies. A stronger U.S. currency makes dollar-priced commodities, such as precious metals, costlier for holders of other currencies. Gold has confounded market watchers by refusing to behave like a safe haven and instead has tracked equities over the past few weeks, but the escalating European debt crisis could see bullion ditch its risk-asset mantle and return to record highs. Analysts said that the long-term outlook remains solid for gold, as physical demand is increasing with investors and banks looking to stock up on secure assets. Demand for gold rose by 6 percent to a 1 1/4 year high in the third quarter of 2011, driven by central bank purchases and European demand for bullion against the backdrop of the escalating euro crisis, according to a report by the World Gold Council (WGC). After a 20 percent slump in the third quarter from the previous, gold imports to India, the world’s biggest consumer of bullion, are likely to recover in the last quarter of 2011 as demand emerges from traders who destocked in the third quarter of the current year, the World Gold Council’s India head said. “Crucially, in today’s report, the WGC note that additional purchases were made by a number of countries’ central banks, which cannot currently be identified due to confidentiality restrictions,” UBS said in a research note. “The gap between the known purchases and the confidential ones is very significant … This information is very bullish. And no doubt the market will be busy speculating on the identity of such buyers,” the company wrote. Even a move by hedge-fundmanager and long-time gold bull John Paulson to slash ETF bullion holdings by a third does not appear to be a sign that he is abandoning his upbeat view of the metal, industry sources and analysts said. Holdings of the largest gold-backed exchange-traded-fund (ETF) , New York’s SPDR Gold Trust [GLD 169.45 -2.06 (-1.2%) ] climbed 0.72 percent from Tuesday to Wednesday, while that of the largest silver-backed ETF, New York’s iShares Silver Trust [SLV 31.8826 -0.9374 (-2.86%) ] remained unchanged for the same period. Spot silver [XAG= 32.80 -0.88 (-2.61%) ] last fell 2.43 percent to $32.86, platinum [XPT= 1601.74 -10.91 (-0.68%) ] was down 0.46 percent to $1,605.24 an ounce and palladium [XPD= 625.97 -18.75 (-2.91%) ] fell 2.56 percent to $628.22 an ounce. Chinese gold imports from Hong Kong, a proxy for the country’s overall overseas buying, leapt to a record high in September, when monthly purchases matched almost half that for the whole of 2010. The buying spree follows a sharp drop in the price of the precious metal. After hitting a nominal all-time high of $1,920.30 a troy ounce in September, gold fell to a three-month low of $1,534 an ounce later in the month. Chinese investors snapped up the metal as prices fell. Analysts expect the September import surge to continue until the end of the year as Chinese gold buyers snap up gold in advance of Chinese New Year, China’s key gold-buying period. “In September we saw some bargain hunters come back into the market on the price dip,” said Janet Kong, managing director of research for CICC, the Chinese investment bank. China is the world’s second largest gold consumer and demand has grown rapidly over the past year as Chinese investors buy gold to hedge against inflation and consumers buy more gold jewelry. Beijing does not publicly disclose its gold imports, but analysts consider the Hong Kong import figures a good directional proxy for the country’s total gold overseas buying. Data from the Hong Kong government showed that China imported a record 56.9 metric tons in September, a sixfold increase from 2010. Monthly gold imports for most of 2010 and this year run at about 10 metric tons, but buying jumped in July, August and September. In the three-month period, China imported from Hong Kong about 140 metric tons, more than the roughly 120 metric tons for the whole 2010. Investment demand for gold in China has been particularly strong this year as a hedge against inflation. Chinese bank deposits offer negative real interest rates, and other outlets for investment have been limited as Beijing has curbed property sales and the stock market has performed poorly. Rising household incomes and a tradition of giving gold have also buoyed China’s gold demand. “Growth in jewelry demand has been over 13 per cent year on year, a very positive number especially compared to the rest of the world,” said Cameron Alexander, senior analyst at GFMS, the consultancy. He puts China’s total gold imports at about 350 metric tons this year. Blog Note: We advise many of our clients to do just what this article talks about ~ Acquire Gold on the dips & hold for the mid to long-term. You are currently browsing the Mind Your Money blog archives for November, 2011.